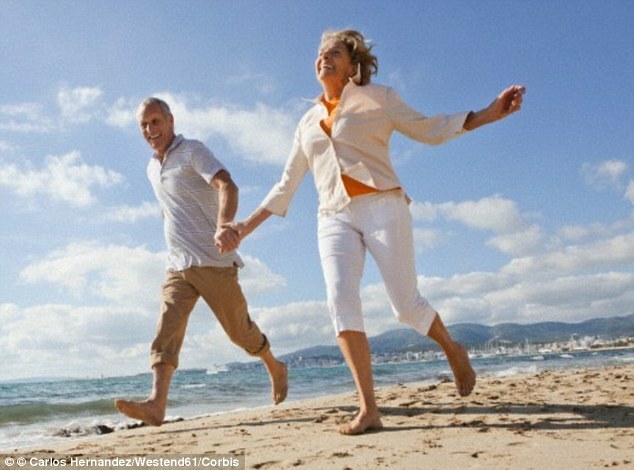 Retirement may be beckoning and your knees may be creaking. But if you are 60, you are merely middle-aged. Scientists say that as we live longer, we need to rethink what we classify as being old. They say that rather saying old age starts at a fixed age such as 60 or 65, we must factor in how much longer we have to live. They suggest that we don’t think of ourselves as being old until we are within 10 to 15 years of the average life expectancy for our countrymen and women. The average life expectancy for women in the UK is 82.8 years, meaning British females needn’t consider themselves old until they are 72 or 73. Similarly, with male life expectancy at 79 years, men don’t become old until they are close to 70. And if old age starts later, by definition, middle-age does too.